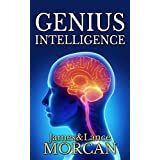 Our new release Kindle ebook GENIUS INTELLIGENCE: Secret Techniques and Technologies to Increase IQ now occupies the No.1 ranking in its category on AmazonUK and has been a regular visitor to the bestseller lists on Amazon.com. 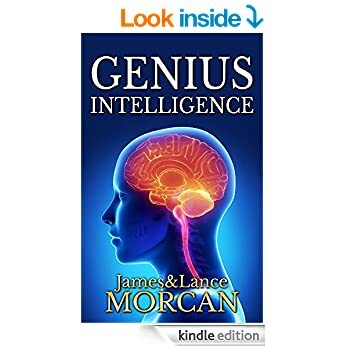 Written by James and Lance Morcan, with foreword by leading scientist Dr. Takaaki Musha, Genius Intelligence draws on the latest findings in neuroscience and lists dozens of practical methods to increase IQ and speed-learn any subject. Genius Intelligence challenges the myth that geniuses are born not developed. –Sheri Wilkinson. Highly recommended for those looking to gain a creative edge. -J. Ask a hundred people for their definition of the term genius and you’ll likely get a hundred different responses, including widely varying responses. We acknowledge and expand on this in the summary in our new release bestseller GENIUS INTELLIGENCE: Secret Techniques and Technologies to Increase IQ. Though we are not historians, it’s our impression that in bygone eras the term genius was most used, or, at least often used, when describing brilliant artists like Leonardo da Vinci. Then, in the 20th Century, the term was more often reserved for academics like Albert Einstein. Now, in the 21st Century, it has assumed a broader meaning and is applied to individuals who have achieved extraordinary results in a wide variety of careers, pastimes and fields of endeavor that transcend academia. Increasingly, we see references in the media and elsewhere to scientific genius or artistic genius or sporting genius, which supports this evolving definition of the word. A cursory look at our Thesaurus offers mastermind, prodigy, brain, intellect, virtuoso and even whiz kid as alternatives to the word genius. We hope by now it is clear to you that genius can come in many forms besides the obvious academic giants like Einstein and Stephen Hawking – if in fact you were ever in doubt. The term genius can legitimately be applied to certain sportsmen (à la golfer Tiger Woods and tennis player Roger Federer), business executives (Sir Richard Branson and Steve Jobs), artists (Andy Warhol and Jackson Pollock), film directors (Alfred Hitchcock and Stanley Kubrick) – and the list goes on. For what it’s worth, our definition of genius is: Someone who demonstrates rare intellect, who successfully connects dots between seemingly unconnected things and who sees what others don’t to achieve revolutionary outcomes and extraordinary results. Given the examples in this book, it should now be evident there have always been individuals learning at speeds many or most mainstream educationalists would have us believe are not possible. From speed-reading US presidents like JFK and Roosevelt, to great polymaths such as Archimedes and da Vinci, to savants like Kim Peek and Daniel Tammet, to intelligence agents and their ilk, history is full of people achieving intellectual feats well beyond the norm. We concede it cannot be proven that elite groups are withholding some of the most advanced learning methods from mainstream society. Even so, it’s pretty obvious that little-known accelerated learning techniques do exist in one form or another – techniques (and technologies) capable of increasing IQ. After reading Genius Intelligence, it should also be obvious that geniuses aren’t usually born geniuses, or, to put it another way, they aren’t necessarily born geniuses. Having studied the lives of numerous geniuses, we were surprised to discover most utilized – or, from a young age, were exposed to – various brain activation methods on their respective journeys to becoming acknowledged masters of their fields. We have detailed, or at least touched on, many of those methods in this book and also given examples of individuals who reached the top of their respective fields employing their favored brain activation methods and disciplines. We refer to the likes of business tycoons such as Rupert Murdoch who practice Transcendental Meditation, Hollywood stars like Gwyneth Paltrow who consume Ormus and Robin Williams who used isolation tanks. And other examples like bestselling author and life coach Anthony Robbins who mastered speed-reading, Apple founder Steve Jobs who practiced Yoga for mental inspiration, and former world heavyweight boxing champ Mike Tyson who used hypnosis before each fight. It should now be abundantly clear many of those who reach the top of their fields use rare or little known methods to improve their mental powers to get the jump on the competition – be that in the intelligence, business, political, arts/entertainment, literary or sporting arenas, or, indeed, in any or all sectors of life. We trust you’ll now agree the brain’s potential is the human potential! As technology evolves and new scientific breakthroughs occur – such as revolutionary smart drugs and brain stimulation devices – one thing seems certain: super-intelligence will be an option for everyone in the future. 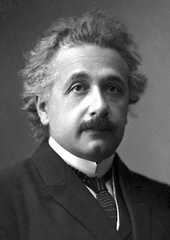 When researching geniuses for our book, GENIUS INTELLIGENCE: Secret Techniques and Technologies to Increase IQ, we discovered Albert Einstein took long walks around Princeton University when pondering complex equations. He often commented that many of his Eureka moments and creative breakthroughs came to him during these walks. Further research revealed that walking — like playing chess or drinking pure water — is another of those genius enhancement activities that potentially fall into the “too obvious” or “too simple” category. Almost everyone has experienced wrestling with a problem all day then finally giving up and going for a stroll in the fresh air and suddenly receiving the answer unexpectedly and without trying. Some might explain away this phenomenon as merely being the result of relaxing and defocusing from a problem and thereby allowing the subconscious mind to take over. Or others may simply say that virtually all exercise has been shown to benefit the human brain. And there are no doubt degrees of truth to those counter points. However, there may also be a sound scientific explanation as to why this low-impact physical exercise often yields the golden solution. Firstly, there’s a rhythmic flow to walking that puts one almost in a trance-like or meditative state. Secondly, the fact that you are moving two legs and two arms means you are engaging both hemispheres of the brain – people are therefore probably in the whole brain state while walking. One study at Stanford University showed that subjects came up with more creative ideas during and immediately after a walk compared to those who simply sat at a desk. And it appears Beethoven and Einstein are not alone among history’s great geniuses. There are other examples. For those who find walking too boring or just not their cup of tea, other physical exercises could possibly deliver similar results – exercises such as dancing, cycling or running for example. Athletes, personal fitness trainers and sports medicine professionals are united in their opinion that exercise helps your mental function. Runners experience the pleasant – many say euphoric – runner’s high that comes with intense, sustained exercise. Such exercise (not just running) increases serotonin in the brain, leading to improved mental clarity. 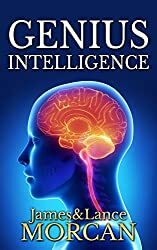 In our new release book GENIUS INTELLIGENCE: Secret Techniques and Technologies to Increase IQ, we explore the relationship between drinking water and increasing IQ. This might fit into the stating the bleeding obvious category, but drinking water really can make a difference to mental alertness and overall cognitive skills. Here’s why: every time you drink water it increases the brain’s electrochemical activity. Conversely, dehydration slows electrochemical activity and effectively makes you dumber. Therefore, staying hydrated is a scientifically valid way to keep sharp mentally. Be warned, though, drinking the right sort of water is as important as drinking enough water. And no, ordinary tap water won’t do the job folks. After all, tap water usually contains high levels of fluoride. Numerous studies have shown fluoride reduces IQ levels and in some cases even causes brain damage. Never a good thing for those wanting to become geniuses! In January 2013, physician and author Dr. Joseph Mercola wrote an article for the Huffington Post titled Harvard Study Confirms Fluoride Reduces Children’s IQ. The Harvard study showed that fluoride causes neurotoxicity, which negatively impacts learning and memory. Besides fluoride, there are a whole host of other contaminants usually found in tap water – such as chlorine and lead – and none of these will do an aspiring genius’s brain any favors. Those wishing to increase their IQ levels would be wise to only drink pure water. Filtered water (either bottled or from a home/office filtration system) is certainly better than tap water. 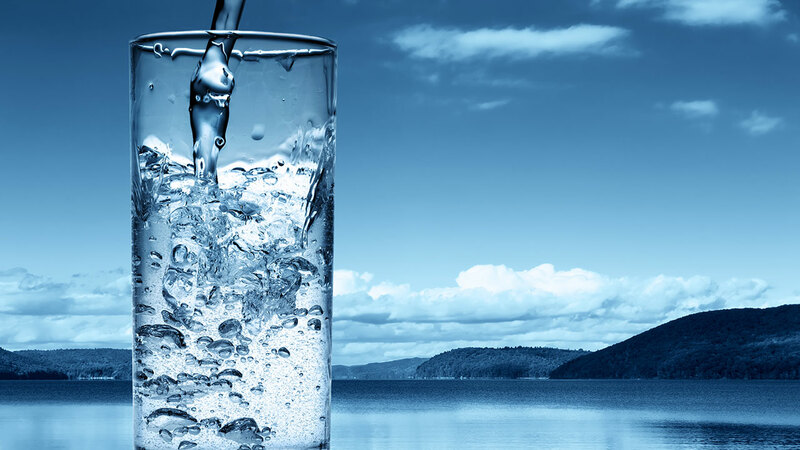 However, contrary to what filtered water companies tell customers, their product often contains numerous impurities – sometimes as many as are found in tap water. The only pure water available on Earth is distilled water. It should be noted here that some health researchers believe distilled water can be detrimental to health if taken ongoing and long-term rather than for the more commonly recommended short periods or fasts. This counter theory suggests that drinking water that is completely demineralized, as is the case with distilled water, is detrimental to health in the long-run. Dr. Weil, however, believes otherwise. He says, “While it’s true that distillation removes minerals as it eliminates various other contaminants from water, I don’t feel this is a problem. We get our minerals from food, not water. If the aspiring genius hunts hard enough, bottled distilled water can be found in some supermarkets and department stores. Otherwise, water distillers can be purchased for the home. According to our research, distilled water is likely to have the most positive effects on the brain. However, we recommend consult with your doctor first. Ever thought about ‘adopting’ genius qualities? Neuro-linguistic programming (NLP) may be one way to increase IQ. We explore this process in our new release book GENIUS INTELLIGENCE: Secret Techniques and Technologies to Increase IQ. One theory suggests it is possible to ‘model genius’ through NLP techniques. Modeling genius apparently requires NLP practitioners to model or adopt genius qualities they see in others they wish to be like. For example, an aspiring professional (male) golfer may model himself on Tiger Woods, while a young businessman may model himself on Richard Branson. Or, perhaps more to the point of Genius Intelligence, science students could attempt to model themselves on Albert Einstein. While researching our new release book GENIUS INTELLIGENCE: Secret Techniques and Technologies to Increase IQ, we were surprised to learn that many of history’s most renowned geniuses were physically ambidextrous, or equally proficient with their right and left hands. These include scientific and artistic giants such as Albert Einstein, Michelangelo, Nikola Tesla and Leonardo da Vinci. Given that less than 1% of the population are truly ambidextrous, we immediately wondered if that was just a coincidence, or was the ambidexterity of these individuals somehow crucial to the genius abilities each possessed? Although more research needs to be done and there are some scientists who have suggested undesirable mental traits result from being ambidextrous, brain scans have revealed one telling statistic that may explain the seemingly high instance of geniuses in the ambidextrous population. That statistic reveals that unlike right-handers, ambidextrous people have almost completely symmetrical brains. Meaning they are naturally in the all-important whole brain state. Right handers, on the other hand, generally have strong left brain dominance. Lefties often have brain symmetry as well, but not to the extent that ambidextrous people do. You’ll recall throughout Genius Intelligence we have referred to the whole brain mode (aka hemispheric synchronization) being the ideal state for accessing higher intelligences. So, could acquiring ambidexterity be one way of bringing out latent genius abilities? Digging deeper, we found a Psychology Today article on the history and neuroscience of left-handed, right-handed and ambidextrous people. Published on August 12, 2013, and written by bestselling author and athlete Christopher Bergland, the article surmises that the ultimate state for genius-level intelligence is to create brain symmetry and to be as close as possible to ambidextrous with your hands. So, if Einstein-like interconnectedness of brain hemispheres is the ultimate goal, then it seems being ambidextrous, or at least developing some ambidextrous traits, may facilitate this brain state. 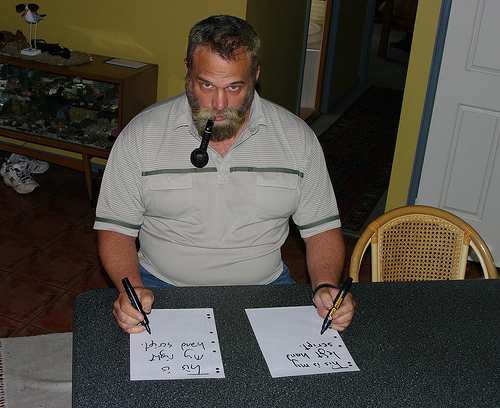 A few techniques to develop ambidexterity include: write and draw with the wrong hand (i.e. left hand for Righties and right hand for Lefties); do household tasks with the wrong hand; play musical instruments that involve both hands such as piano, guitar or flute; learn how to juggle.